What is it that makes a landscape a landscape? The Merriam Webster dictionary defines a landscape as an area of land that has a particular quality or appearance. We, as landscape designers define it further as a grouping of outdoor rooms which display various plant materials and are anchored by hardscapes and water features. 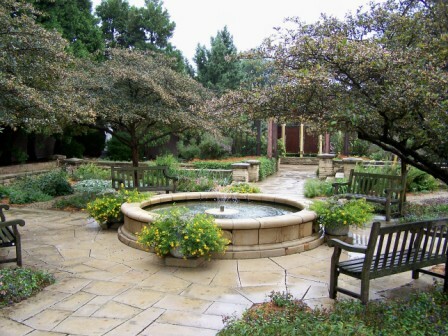 KSU Gardens is a series of rooms divided by open lawns and a fountain. Too often we get caught up in the daily grind of life, trying to speed to the next thing quickly so we can go inside and relax from our work. However, we need to remember what was created for us, landscaping that we can use for that relaxation in such a way that also heals and strengthens our minds. Instead of coming home, grabbing a snack from the fridge and settling into a couch to watch TV, what would happen if we came home, grabbed a book and settled into chair in the garden, near a bubbling fountain to read and listen to the sounds outside? We would grow as the plants and wildlife grows around us. There is nothing that completes an outdoor space like a water feature. The addition of sound into your garden adds a whole new dimension. Even as I work in the maintenance field of landscaping I have gotten to the habit of evaluating landscapes and their comfort or usability of the homeowner. Most “landscapes” are not even that, they are foundation plantings designed to enhance the visual appearance of the house our structure, but not put in in such a way that encourages people to go out and enjoy their surroundings. We develop plantings that lead the eye to the front door of a house, or just show off the house in general. These plantings are appealing, but not intended to get people into the garden. While many of us will never get to the point of the lush, separated gardens of Europe and the upper class systems, we can create gardens that can be used for outdoor parties, weddings, a morning prayer time, or just a place to read and listen to the birds. Seating allows one to inhabit the room. What a wonderful place to read a book! To do that we must separate our minds away from foundation plantings and become ready to design landscapes that enhance us as well as our dwellings. Starting the transformation requires sitting down with a professional landscape designer or consultant and deciding what type of outdoor rooms would be best suited for our property and us. It can be as simple as a small patio with a reading nook to as elaborate as a pool with soft lawnscapes and plantings. 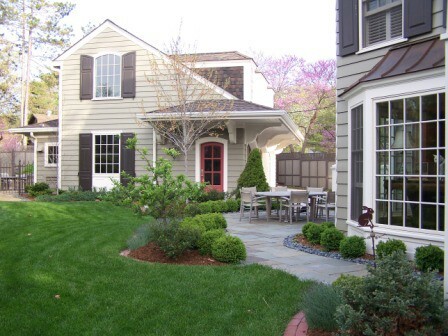 By deciding what type of rooms we want outdoors, we begin to see new possibilities in the landscape. An outdoor room is defined as an area visually cut off from other areas with the use of plantings, walls, screens, or fences. They do not have to be over our head screening, even a hedge of three foot tall boxwoods can provide separation of rooms. The ceilings of our rooms can be arbors, pergolas or just large canopied trees. Patio plantings give distinct boundaries for the rooms without hindering the view. Picking out rooms is as easy as flipping our house inside out. Most landscapes can be developed around basic needs of the human being-comfort, relaxation, hunger, and enjoyment. A patio space with outdoor kitchen or fire pit becomes the kitchen. The bedroom is a manicured lawn or deck with lounge chairs around a pool or water feature where you can lie with your eyes closed and hear the splash of water or the whispers of leaves overhead. The living room is a large open area with seating on swings or benches, and the TV becomes a large sweeping bed of perennials that change often as the bees and butterflies alight on upright stalks of magenta, violet, marsala, jade, and amber. 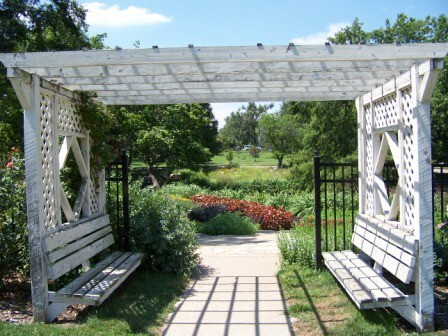 If we add a spa, we need to surround it with fragrant plantings of lavender, mockorange, milkweed, iris, or crabapple. Add and outdoor bathroom and hide it amongst lilies and sunflowers. Put in a croquet or bocce lawn and surround it with hedges. During the warmer months of the year, even the most un-outdoorsy person can enjoy being outside by taking their book and settling by a planting of coneflowers. The ways and ideas for outdoor rooms can be as diverse as or more so than indoor rooms. 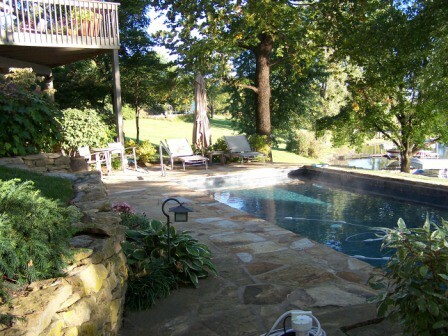 Poolside plantings, patio, and fire pit separate this landscape into several rooms. Do outdoor rooms require maintenance? Absolutely, but the price paid for the enjoyment of something fresh and healthy is less than the cost of living inside the house year-round. 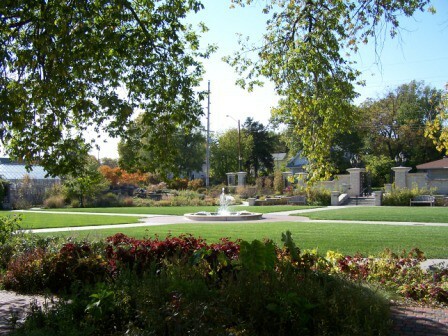 By working with a designer and groundskeeper, we can develop a sustainable landscape management plan for yearly upkeep of all outdoor rooms that does not tip the budget past a breaking point. Water wise plants, right plant right place, low maintenance ideas, and sustainable concepts can all be integrated together with the master plan to create an outdoor oasis. Poolside plantings and patio give a relaxing natural setting for swimming. 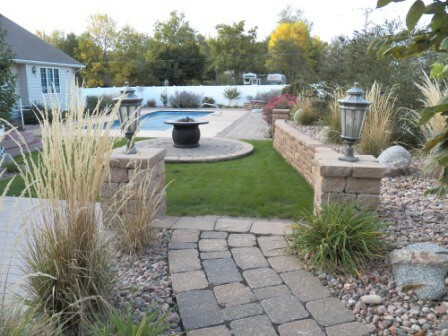 Your landscape can be what you want it to be, so call today to start planning your dreamscape!